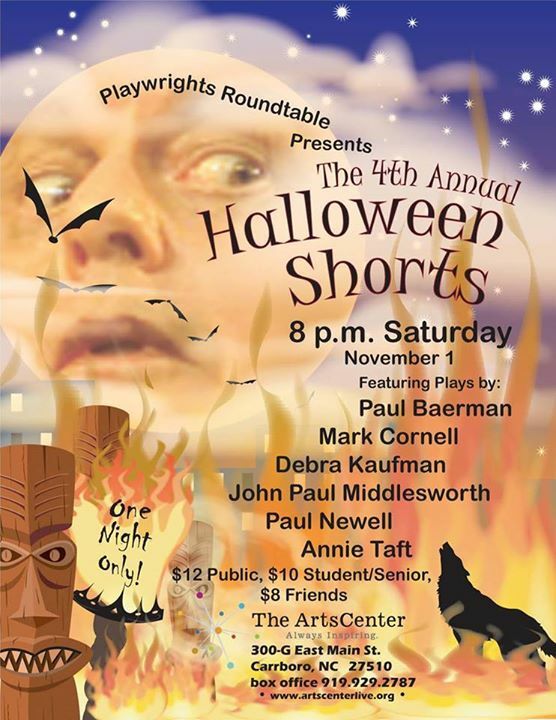 Join the Playwrights Roundtable for tales from the macabre to the bizarre to just “plane” crazy! The 4th annual soiree crawls out of the crypt at 8pm on Sat Nov 1 at The ArtsCenter in Carrboro. One night only! $12 Public, $10 Student/Senior, $8 Friends. Click here to go to the Facebook event. Click here to see the poster. « Auditions for ‘Tar Heel Tales’!